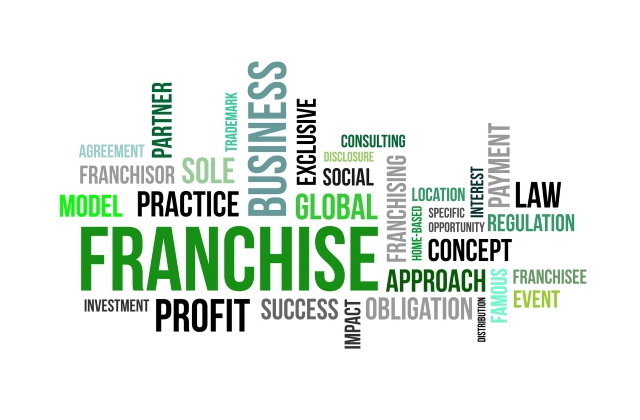 Franchising is the most popular system for growing a business it has experienced explosive growth since the mid-70s and is expected to be the leading method of doing business in the new century. This ranks on the top of the many good reasons to choose franchising. The desire to control your own destiny, to build a business for yourself and a legacy for your children, has always been a powerful motivator in business and in life. If that's not enough on its own, further motivation is provided by the never-ending cutbacks in corporate life, not only in job security and benefits, but in pensions and health insurance for retirees. Franchise ownership combines a sense of independence (within limits) with a greater level of security. There's nothing better for the entrepreneurial spirit than being rewarded directly for their effort. That usually is not possible in corporate life, where bonuses (if any) are based more on salary or employment level than on individual merit or performance. Hard work may be its own reward, but it's even better when the income directly reflects the output. New ideas are great. They're what makes business and the world go round. From new restaurants and retail stores to products and services that make life easier, innovation is a key ingredient in success (as is consistency). But, as noted above, new businesses are prone to failure, and most new ideas take time to catch on. Franchising allows entrepreneurs to plug into a proven, successful idea and operating system, and focus their efforts on running the business, rather than on adjusting it in midstream. The wheel's been invented, perfected, branded, and marketed. As a franchisee, it's time to roll. You can spend months thinking up a clever name, logo, signage, uniforms, and the exact look and feel you want to attract customers to your new business--but you won't know if it's truly effective until you open for business. But if you hang out a sign that says McDonald's, Dunkin' Donuts, Subway, or Midas, everybody knows your name. Whether it's locals or strangers passing through, you have a built-in clientele. As noted, franchisees pay, sometimes dearly, for the right to use a brand name. But that investment is quickly repaid, many times over. The power of a well-known brand? Priceless! One of the sometimes contentious hot spots in franchising is the cooperative advertising fee, which can shave a couple of percentage points off your top or bottom line each week or month. The payback comes in the value of a national or international brand identity, national and regional advertising campaigns, and online access to promotional materials that can be personalized and tailored to your local market. Franchised businesses frequently have a pricing advantage over independent, non-franchised competitors. Whether the brand sells a product or a service, or is retail- or home-based, the greater the size of the franchisor, the greater its bulk purchasing discounts and economies of scale--which creates a competitive advantage for franchisees scrapping for market share within their territory. Another thing your franchise fee buys you is the right to an exclusive territory, designed to provide a sufficient number of the right kind of customers for your investment to succeed. Franchisors generally are reluctant to award territories too large for a franchisee to serve adequately (and because they want to sell as many as they can, within reason), the smarter ones will err on the side of awarding territories that give their franchisees the best chance of success. Then there's the final advantage: pride of ownership. Even within a franchise brand, units or territories owned by franchisees do better than units run by corporate managers. Having a stake in the outcome of the operation, knowing that you will be rewarded directly for your efforts (versus pulling a salary), gives franchisees additional incentive to go that extra mile every chance they get. Yes, franchising has many built-in benefits and advantages, but it's not for everybody. Some people thrive on the challenge of being out there on their own, inventing a new wheel each day, making all their own decisions, answering to no one but themselves (and their customers and creditors). Others crave the structure, reduced responsibility, and perceived security of a day job they can forget about as soon as they punch out or close the door behind them. And others still thrive on the challenge of climbing the corporate ladder, being an integral part of a team.